Less than a month ago, Silverline Chevrolet driver Jason Plato’s chances of winning the 2011 Dunlop MSA British Touring Car Championship were looking slim. Very slim, in fact. But when life’s full of opportunities, the last thing you do is give up, and as the most exciting racing formula in the UK builds up to its inevitably dramatic climax at Silverstone on Sunday 16 October, Plato finds himself just five points adrift of championship leader, and his historic arch-rival, Matt Neal. Plato is also tied on points with Neal’s Honda team-mate, Gordon Shedden. Whatever happens when the series takes to the Silverstone National circuit for its curtain call, the 2011 season will be one of the closest on record, a fitting finish to one of the most dramatic and controversial seasons on record, and one that has seen viewer numbers on ITV4 increase by over 45 per cent since last year. Heading into the final meeting, Plato reflects on a season in which his hopes have been kept alive by a combination of gritty determination, hard driving and teamwork. 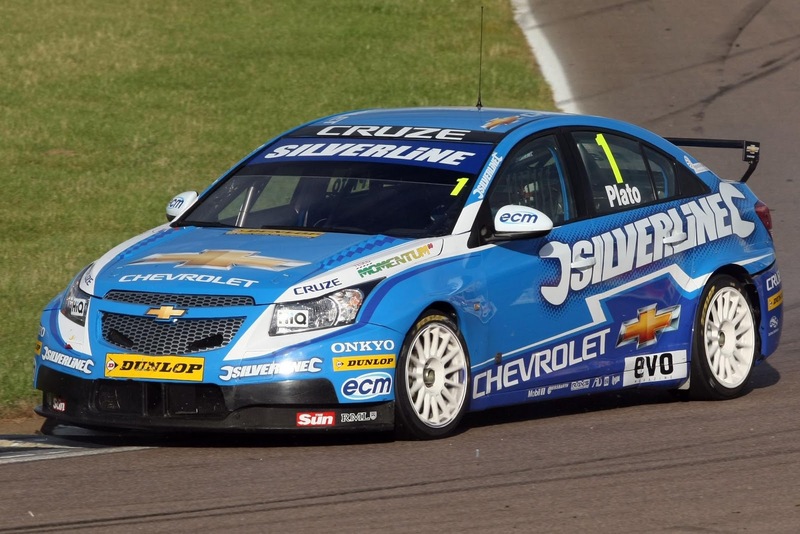 Silverline Chevrolet is up for a second title in as many years. But Plato isn’t the kind of guy to roll over, and nor are the team behind him. In 2010, when the BTCC went into its mid-season break, Plato was the outsider in the championship thanks to some bad luck at Oulton Park and Croft. 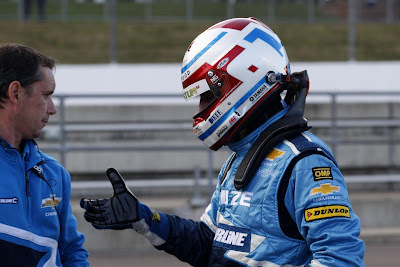 He went on to take the driver’s championship, an achievement he immediately dedicated to his team. Heading into the last meeting, Plato is under no illusion that he remains the outsider. The fast, wide Silverstone circuit is expected to suit the turbocharged Hondas, whereas the Chevy excels on the more technical, handling-oriented tracks where driver skill and experience is critical. The five point deficit to Neal will be a massive challenge to overcome, but Plato is in the right mindset. The points Plato scored at Donington in that infamous third race could end up crucial in the final meeting of the season, almost as much as the huge points haul the team has racked up in the past two meetings. “To be where we are now is a remarkable achievement, and if it rains at Silverstone we’ll grab the bull by the horns and give it our best shot. Even if it’s a perfect track, where on paper our chances are slim, we can’t give up without a fight. Absolutely anything can happen in motorsport, and with the championship this close, all it takes is a puncture or a simple driver error to turn the whole thing on its head. 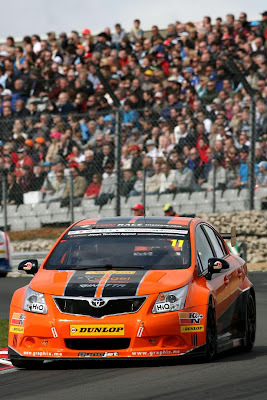 Toyota’s independent BTCC racers, Frank Wrathall and Tony Hughes, will bring their maiden seasons in the Dunlop MSA British Touring Car Championship to a close at Silverstone this weekend (15/16 October), and each is looking to end the year on a positive note in preparation for a renewed assault on the UK’s most popular race series in 2012. 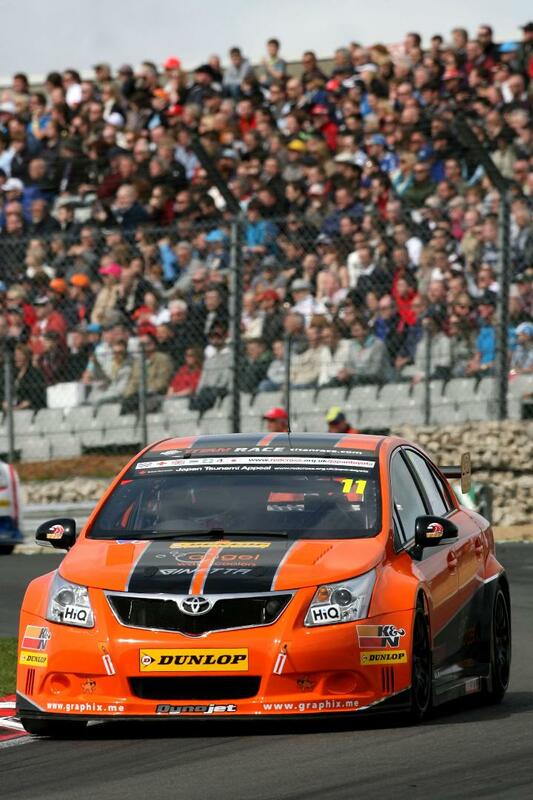 Wrathall and his Dynojet Racing Team are hoping for further podium success for their ‘Next Generation Touring Car’ Toyota Avensis. Last month, at Knockhill and Rockingham, the Dynojet Toyota claimed four top-three finishes on the trot and came within 0.4s of an historic race victory when it crossed the Round 25 finish line right in the wheeltracks of championship frontrunner Gordon Shedden’s Honda. 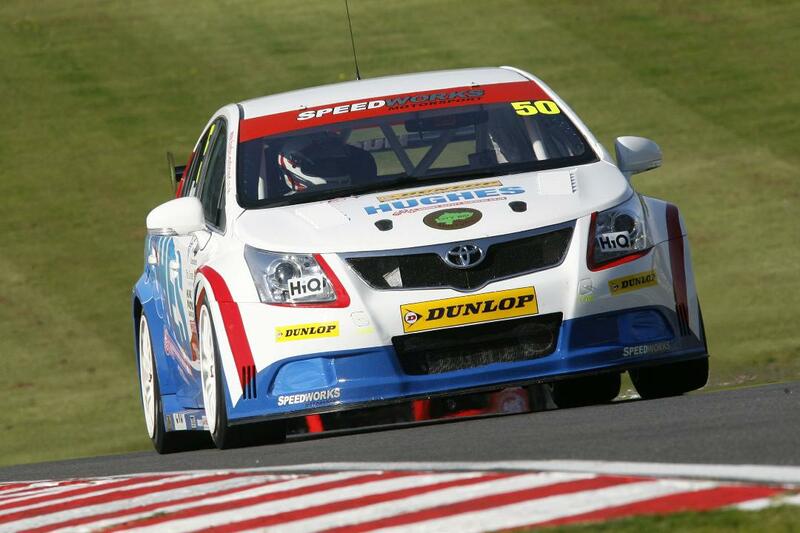 Wrathall, who celebrated his 25th birthday last week, is keen to return to that sort of form: “We were on the crest of a wave at Knockhill and Rockingham, and that made it all the harder to take a weekend like Brands Hatch…” Earlier this month at the Kent track Frank posted two non-finishes, his first retirements since Snetterton. The weekend’s action will decide which of five drivers – Matt Neal, Jason Plato, Gordon Shedden, Mat Jackson or James Nash – will wear the Dunlop MSA British Touring Car Championship crown. It’s the first time in the 53-year history of the BTCC that so many drivers have taken the title fight down to the wire. The weekend’s BTCC action kicks off with two free practice sessions and qualifying on Saturday followed by three races on Sunday – at 1135, 1435 and 1715 – all of which will be live on ITV4. *We're bored with the whole NA vs Turbo argument now, Mr Plato.